The T's Trinity Rail Express in Fort Worth. Riders of the Trinity Railway Express are being warned afternoon trains may be running slower than normal due to heat. 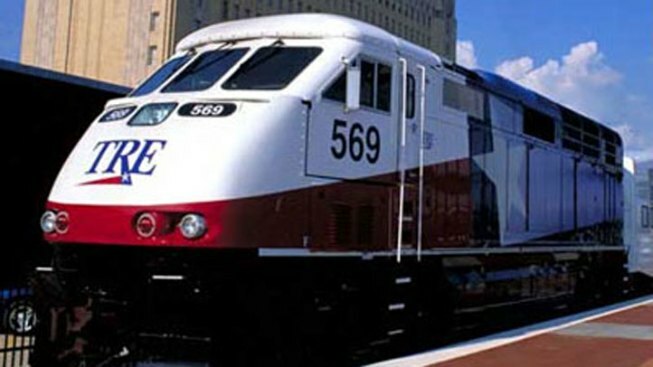 With temperatures expected to climb to 106 degrees, TRE trains will operate at reduced speeds between 1 p.m. and 7 p.m. In 2010, the TRE said when temperatures climb over 100 degrees trains are kept below 65 mph, which is up to 20 mph slower than normal. The reason is that the intense heat can cause additional stress on the train's diesel engines and make it difficult for the radiator to cool them. The trains are slowed down as a precaution to keep them from overheating. In a statement Monday, DART said passengers may experience minor delays and they apologized for the inconvenience.